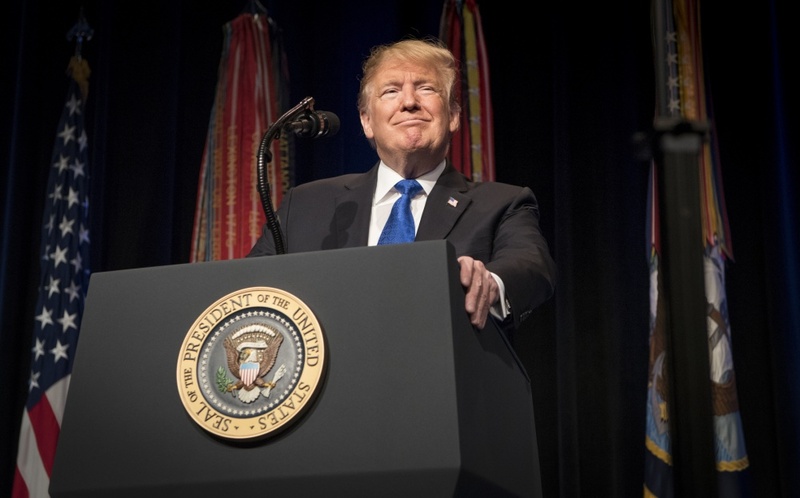 On 17 January, US President Donald Trump went down to the Pentagon to speak at the launch of his administration’s long-awaited Missile Defense Review (MDR). The MDR is the previously missing fourth wheel of the administration’s security policy, and fits naturally alongside the earlier three: the National Security Strategy, the National Defense Strategy and the Nuclear Posture Review. Trump’s speech wasn’t his finest—at times it teetered on the brink of incoherence. (The text can be found here, or you can watch it here (Trump comes on at around 11.50).) The president was distracted by all his favourite hobbyhorses: the size of his defence budgets, the migrant caravans heading towards the US–Mexico border, and the fecklessness of penny-pinching allies, to name just a few. Still, every now and then he returned to the topic du jour, usually in sweeping terms. [W]e will terminate any missile launches from hostile powers, or even from powers that make a mistake … Regardless of the missile type or the geographic origins of the attack, we will ensure that enemy missiles find no sanctuary on Earth or in the skies above. 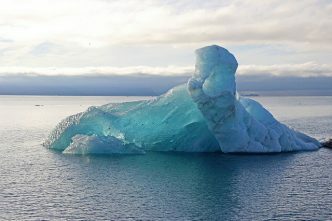 Those are grand objectives for a limited and imperfect technology. And, mercifully, that’s not what the MDR actually says. But what it does say is a significant and important expansion of previous policy settings. With the potential global reach of America’s future sensor array and interception capabilities, the review certainly points the way to a much larger footprint for US missile defence. And, of course, this is a missile defence review, and not simply a ballistic-missile defence review; the emergence of new types of missile is complicating the defender’s task. 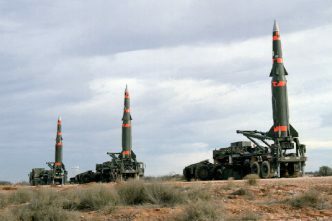 Like its 2010 predecessor, the 2019 MDR splits its consideration of the missile-defence mission into two parts: defence of the US homeland from ICBM-level threats on the one hand, and defence of deployed US forces, allies and partners from regional missile threats on the other. And, again like its predecessor, it uses the baseline established by the offensive threat posed to the US homeland by rogue states—namely, North Korea and Iran—to answer the tricky question of how much the US ground-based midcourse defence system should be expected to handle. That system was never intended to cope with a large, sophisticated missile barrage from Russia or China. It was built to take the ‘cheap shots’ from rogue powers off the table. The language varies much more, however, on regional missile threats. The 2010 review canvasses the threats posed by North Korea in Northeast Asia and by Iran and Syria in the Middle East. 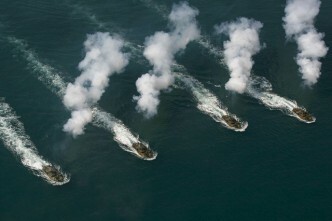 The 2019 MDR canvasses the regional threats posed by North Korea, Iran, Russia and China. And here’s the rub: regional missile threats are treated in the same way as rogue-state threats to the US homeland. [T]he missile threat environment now calls for a comprehensive approach to missile defence against rogue state and regional missile threats. This approach integrates offensive and defensive capabilities for deterrence, and includes active defense to intercept missiles in all phases of flight after launch, passive defense to mitigate the effects of missile attack, and attack operations during a conflict to neutralize offensive missile threats prior to launch. That ‘integrated approach’ needn’t automatically mean that the US will—during a conflict—attempt to pre-emptively attack Russian and Chinese regional-range missiles prior to launch. But it does put both countries on notice that the US hasn’t ruled out that possibility. It’s possible that the MDR may have been written deliberately to send that message. Russia’s ‘escalate to de-escalate’ doctrine, after all, is a strategy built for regional coercion, rather than a strategy aimed at the US homeland. Still, this is an area where all three great powers will probably want to tread carefully. 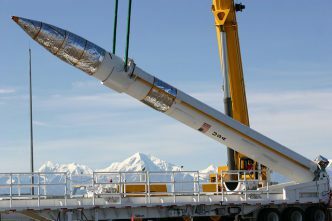 During the Department of Defense’s off-camera press briefing on the MDR, a number of officials spoke cautiously about pre-emption scenarios, generally stressing that various military options remained a part of any military doctrine, but emphasising that deterrence and defence were the main purposes of missile defence. That’s true, but competitive great-power relationships are pulling us towards a new and unfamiliar strategic order. 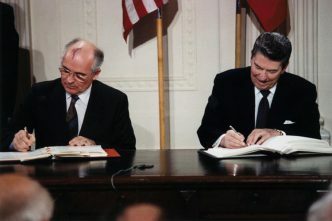 Since the end of the Cold War, almost 30 years ago, we’ve become used to—grudging—great-power cooperation. That condition no longer applies.